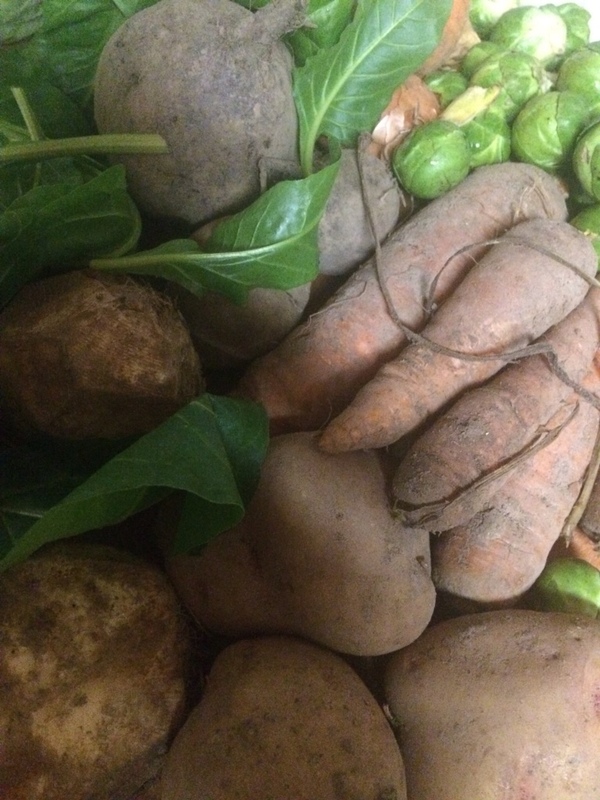 This week’s veg included my favourite vegetable Brussels Sprouts, my second favourite vegetable spinach and a selection fair sized carrots (no monster specimen though). This was a fantastic red colour and tasted ok. I made it with beetroot, garlic, ginger, lentils and various spices. It would have been better with more red lentils rather than the handful in the end of a jar that I made do with. 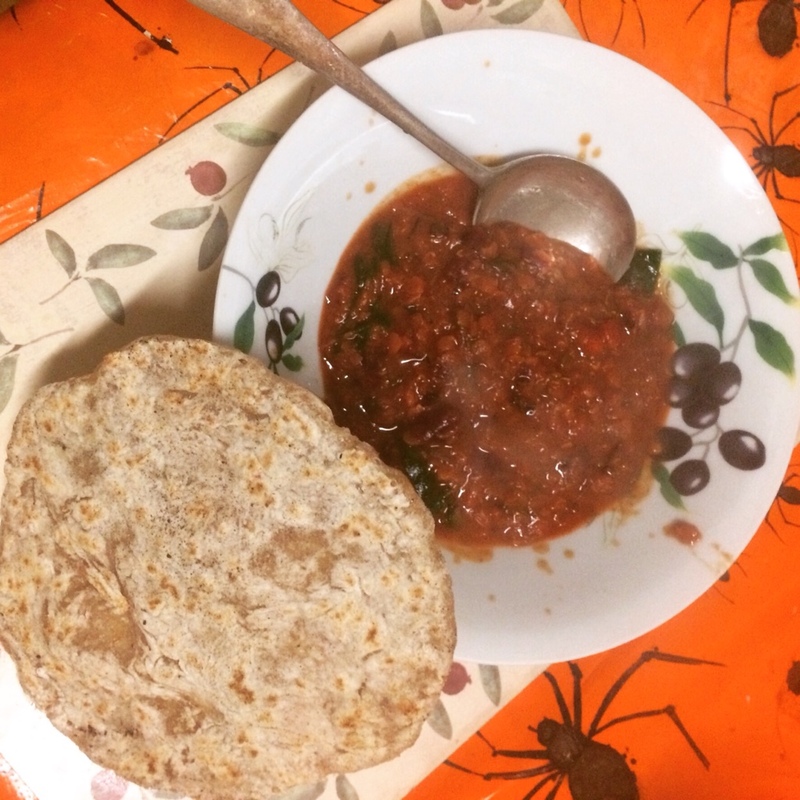 Served with flatbreads(rolled thicker than usual for a softer cosy texture). I swear that under the thick costing of home made mayonnaise there are a load of beans. They must be camera shy! 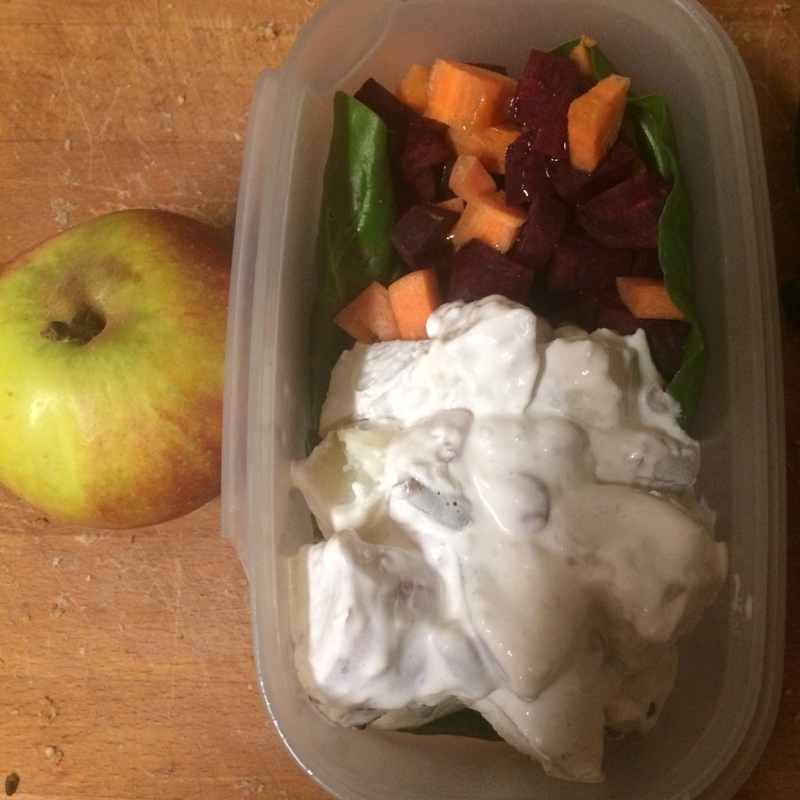 This was a tasty lunch of boiled potatoes mixed with home made vegan Mayo mixed with a can of well rinsed bean salad, raw spinach, raw carrots and raw beetroot. Then I drizzled the latter with a little chill oil. I started to make this following a recipe from a Cole and Abel cookbook. Then having to read the recipe all the way through in advance I got to the bot about adding bacon and some creamy cheesy stuff. So I improvised my way through the rest chucking in spinach and nutritional yeast. This recipe doesn’t really highlight the delicate flavour of celeriac. 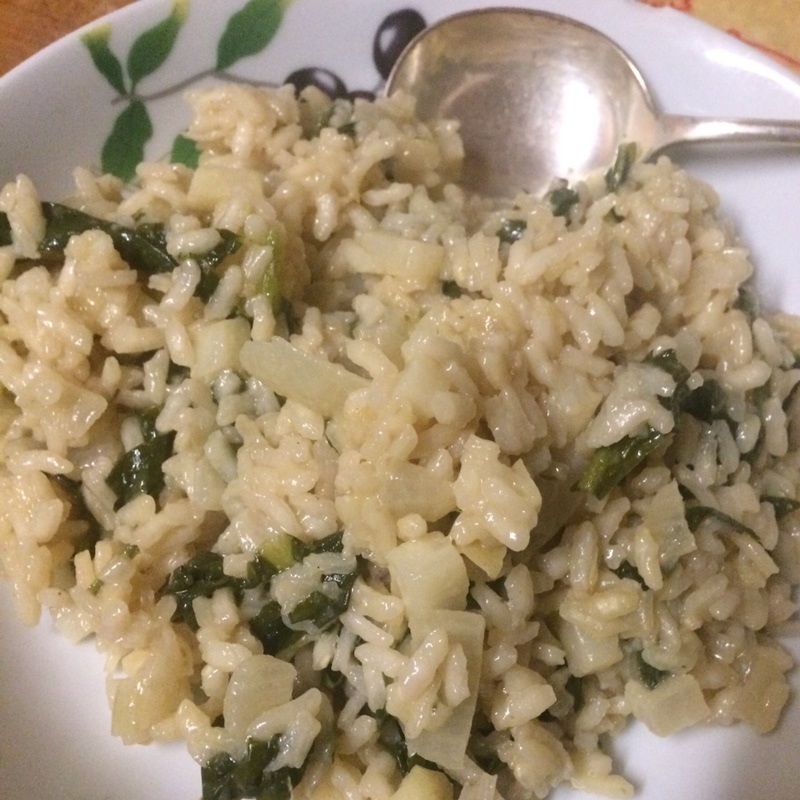 However it did taste good and has inspired me to make more risotto. This was an awesome dinner. I had sesame soy pastry in the freezer so filled it with carrots and beefless chunks and mustard gravy. 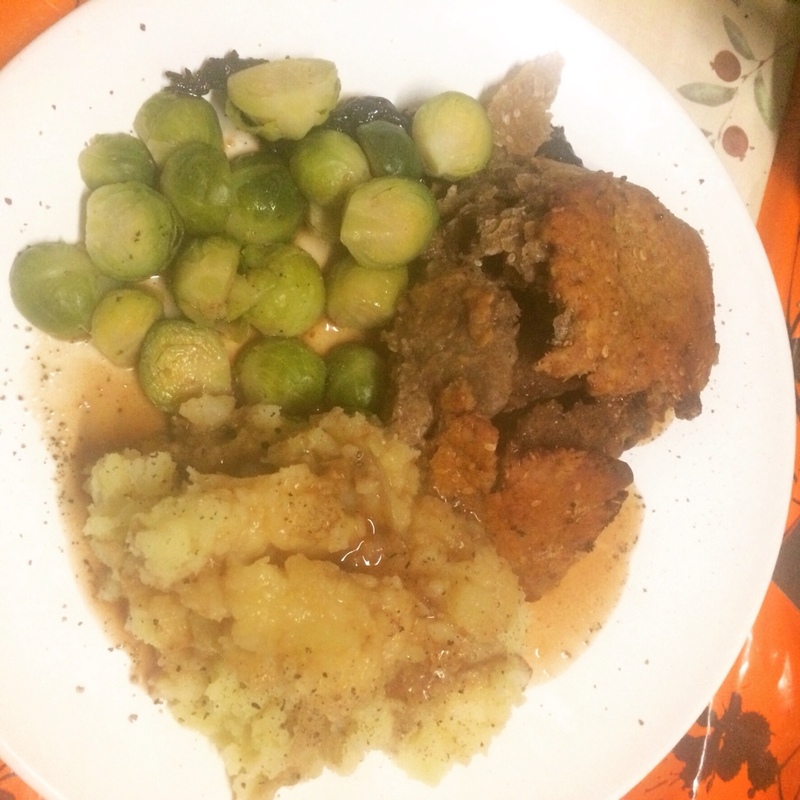 Then I served with celeriac mash and my favourite veg. This was wonderful for a delicious and lazy Saturday night dinner. 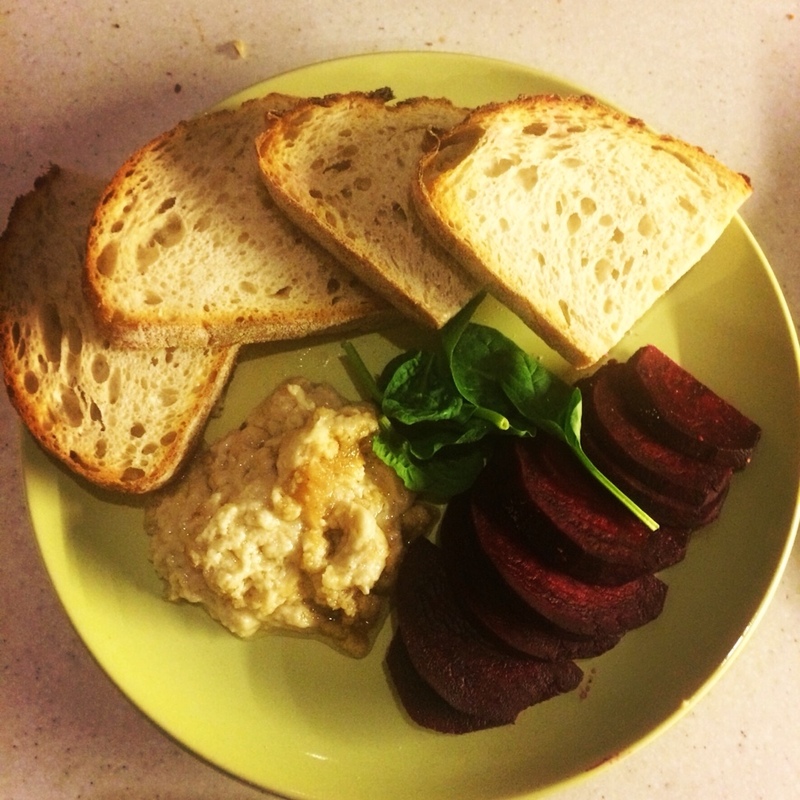 Sourdough toast served with cashew cheese and raw beetroot. Beetroot might be edging towards appearing in my favourite vegetable list!